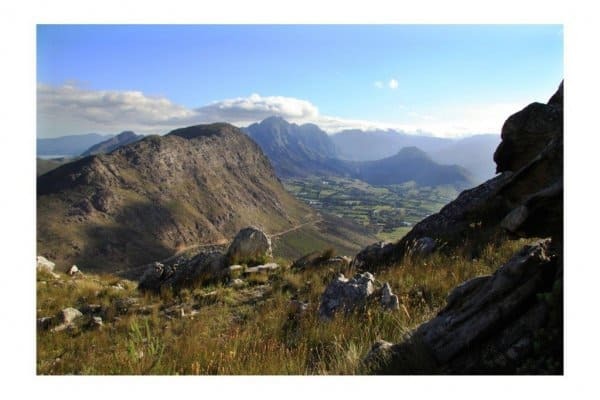 The Franschhoek Valley Walk, self-guided walking/hiking holiday, is an opportunity to experience Franschhoek, known as the food and wine capital of South Africa. It offers breath-taking Cape Winelands scenery and world class cuisine. TripAdvisor listed Franschoek in 2014 as one of the top three destinations in South Africa. Surrounded by its majestic mountains and beautiful vineyards the small town of Franschhoek, in the heart of the Cape Winelands, is known as the food and wine capital of South Africa. It offers breath-taking scenery, warm hospitality, world class cuisine and the finest wines. Spectacular vineyards cover the mountain slopes settled over 300 years ago by the Huguenots who brought with them their age-old French wine and food culture. This is a valley rich in history centered around a picturesque village of welcoming people. Franschhoek is the birthplace of fine South African wines and gourmet cuisine with an international flavour. Splendid wines are grown and top chefs create international cuisine. The main street of the village is lined with coffee shops and restaurants, among them some of the best in South Africa. The village shops offer a wealth of art, crafts and antiques. There are also specialist shops such as a fromagerie, chocolaterie and carpet maker. The Franschhoek Valley Walk offers an opportunity to experience the splendour of distinctive and spectacular countryside: breath-taking scenery, warm hospitality, world class cuisine and the finest wines all combine to create lasting memories. “Fynbos” plants and wildlife The Cape Floral Region is the smallest but richest of the world’s 6 floral regions- no less than 9,000 species. It has been identified as one of the world’s 18 biodiversity hot spots. Nature Reserve Experience the beautiful Mont Rochelle Nature Reserve, a natural heritage site. Discover and learn about the various indigenous plants, animals, geology and the colourful and entertaining history of the area while enjoying the breathtaking views of the Franschhoek Valley. 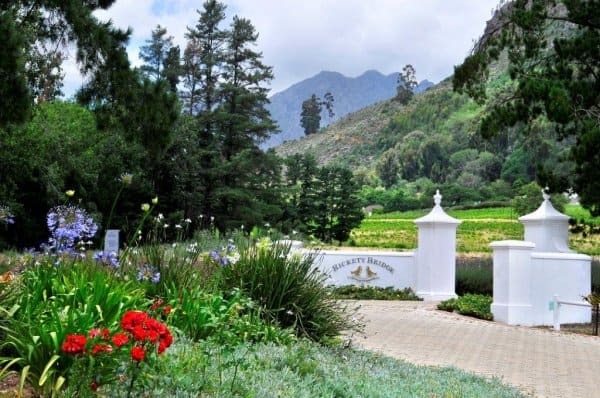 Wine estates In 2013 Franschhoek was voted the best wine route in The ‘Most Memorable Wine Route’ category for a second consecutive year, at the Klink Awards. 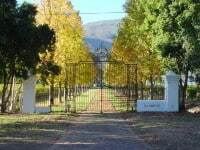 Franschhoek wines are world famous and the vineyards range from small boutique wineries catering for those in search of something unique to the larger cellars which offer organised tours and tastings. Many of the wine farms have their own restaurants. Over the years, the 48 Vignerons de Franschhoek members have become known as some of the most innovative and progressive wine producers in South Africa. They have definitely firmly established themselves as one of the best wine-producing areas in the Cape Winelands. Accommodation and restaurant options 4 or 5 star hotel or guesthouse. With prize winning restaurants, Franschhoek is known as the Gourmet Capital of South Africa. The 36 Franschhoek restaurants, and 4 South African 5 star chefs, continuously produce world class cuisine. Historic town Discover the Franschhoek of yesteryear ; from the pre-colonial settlers, The Dutch East India Company and the French Huguenots to local architecture.The Huguenot Memorial and museum give an insight into Franschhoek’s history as well as providing a beautiful and peaceful environment to pause for a while and listen to the sounds of nature. Cycling /horse riding Add an extra day for a wine tour with a difference – on horseback or a bicycle or the wine tram. Day 1: Arrival in Franschhoek Valley for overnight. Day 2 : The walking trip starts in the remarkable fynbos-rich Mont Rochelle Nature Reserve – abundant with a dazzling variety of birdlife – at the top of the Franschhoek Pass. This includes a guide in the Nature Reserve to give background on what nature has to offer over the next 3 days. From the heights you will have breathtaking views of the valley- as far as Table Mountain on a clear day. From the Nature Reserve follow the Cats Path down to the centre of the town of Franschhoek. The path is of historic value and was built during the period 1819 – 1825 for the wagons to cross the mountain to the Overberg. After lunch and a wine tasting in the middle of the day a visit to the historic Huguenot Museum. Distance 10 km (6 miles) – Whole Day. Day 3: The morning will be spent at leisure in the beautiful historic town of Franschhoek with its interesting café’s and small shops of a big variety. Lunch and a wine tasting will be on one of the nearby wine estates on your way to your hotel / guest house in the Valley. Your route to your overnight goes through beautiful vineyards and will include a further wine tasting. Day 4: Today includes a walk through the beautiful vineyards of the Franschhoek Valley. 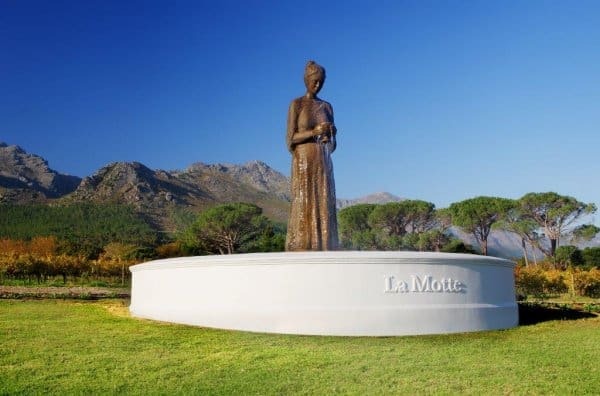 This includes as a visit to the La Motte Wine Estate and its own private walking trail with beautiful fynbos. The wonderful views over the Franschhoek Valley are a prelude to a wine tasting in these renowned and beautiful surroundings. Lunch can then be enjoyed in the highly rated restaurant on the farm. A visit to the art gallery and museum is also highly recommended. Choice of Standard or Superior accommodation. The rate of our package also depends on availability. For the Standard option our rate is from R6 300 per person, sharing. It will be 4 star. The rate for 4 nights is R7 600 per person and the rate for the Superior package will be quoted on request. During low season (May-September) the holiday may be available at a reduced rate. A minimum of 2 people per group. The above rate applies for a group of up to four people. Costs for single accommodation or an extra night or more than four people per group, available on request. Lunches, dinners, drinks with meals, wine tasting. Your trip can be extended or amended to include additional activities. The costs of these options are not included in the rate of the standard 4 Day trip. Available on request. Another option is to do wine tasting on horseback.(ca. 4 hours) Take a scenic ride through vineyards, forests and over mountain terrain, stopping at two wineries before returning to the stables. The total riding time is around 2 hours and 30 minutes, with 30-45 minute stops at each wine estate. If guests prefer a relaxing day – the wine tram circlar route can be taken – instead of, or in addition to walking, cycling or horse riding. The Franschhoek Wine Tram hop-on hop-off tour is one of the best ways to discover the true essence of the Franschhoek Valley – picturesque vineyards, breath-taking scenery, warm hospitality, world-class cuisine, fine wines and a 300 year history. A combination of tram and tram-bus transports passengers around a loop of stops allowing them to hop-off at seven stops and experience the activities on offer: wine tastings, cellar tours, lunch or simply strolling through the vineyards. Hop-on to continue the tour. 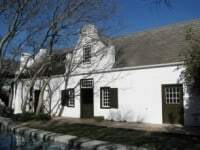 A guided walk through the historic part of Franschhoek can be arranged for Day 3. 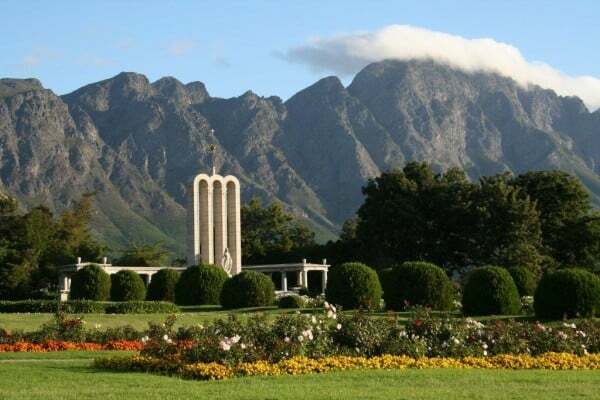 Discover Franschhoek’s unique history and cultural heritage. Learn about the Huguenots, Khoi & San, development of the village, architecture, the mountain passes and more. Personal anecdotes and interesting stories characterize this walk. Other guided tours in Mont Rochelle Nature Reserve and in the Valley are also available to fill an extra day if required. The 4 Day walk in Franschhoek can be combined with the Cape Winelands Walk for a 7 Day trip. Daily from the beginning of October to the end of April (high season). Reserve early to obtain the best rooms. The route is also available during low season and may be at a reduced rate. Please contact us for details. Weather in the Western Cape Coastal region is mild Mediteranean. Summer – mild pleasant evenings, can be very hot and dry during the day Winter – very cold evenings, cold to mild days Rainfall can exceed 1 500 mm (60 inches ) per year – mainly during the winter months. For more details, go to Area information. Franschhoek is 70 km from Cape Town International Airport. Private transfers available on request – please ask for rates. Comfortable, well aerated clothes in keeping with the season. 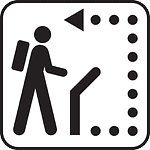 Sturdy walking boots and walking socks (with a change of socks in rucksack), rucksack/day pack, swimming costume, 1 x water bottle with 1 litre capacity, insect repellent, sun glasses, sun hat, sun block/cream, rainproof fleece, compass, torch and a first-aid kit. We recommend that you arrange appropriate holiday insurance covering you against illness, injury, and loss or damage to luggage. This insurance should also include complete cover for any cancellation costs.